Fruit Paradise closed down in Orchard Central so we ended up here for some after dinner sweets. 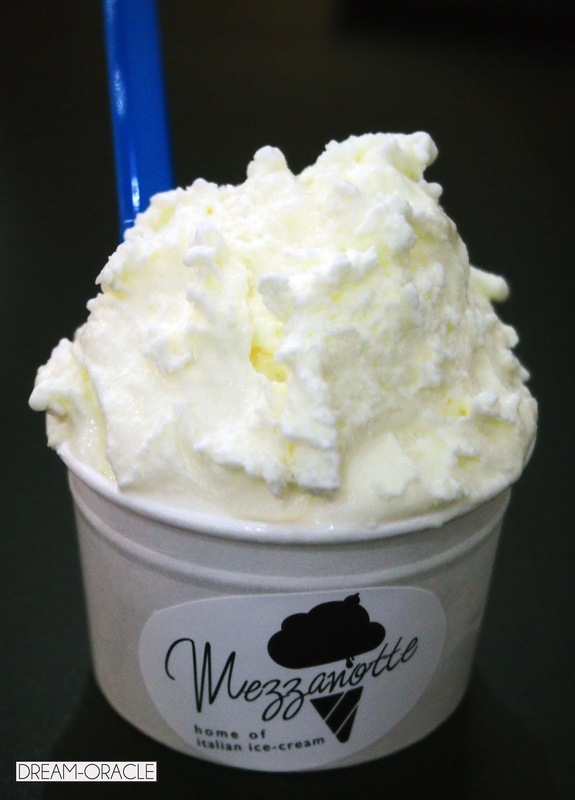 Mezzanotte sells Italian gelato, and honestly I have no idea what's the difference between gelato and ice cream. I mean, it's still ice cream right? So it's only when I stepped into the shop and saw the explanation on the wall, and I understood the difference between ice cream and gelato. Allow me to explain simply. because it's made with a greater proportion of whole milk so has only 0.7% fat content. because it's churned at a slower speed than ice-cream, thus less air content. because it's stored at higher temperatures, which makes it less frozen and softer. 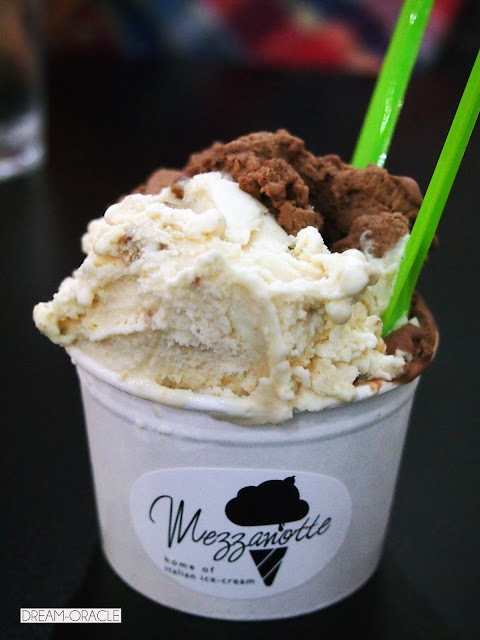 This also meant gelato can't be kept too long thus must be produced regularly. The colours and design made the small shop look spacious and it's also very clean. 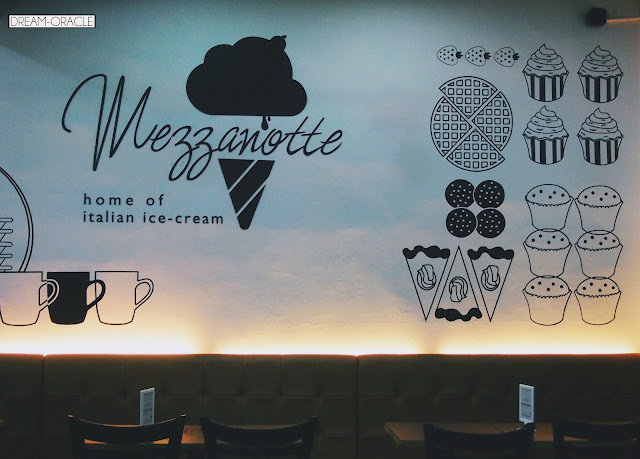 Couples can hide in corner sampling waffles, families come and have a little bonding time, friends gather for affordable Italian gelato and chit chats. Fererro tastes like chocolate and I still prefer Sweet Hazelnut Cream. But if you were to compare Sweet Hazelnut Cream to Milk, I would take Milk flavour any day. This is still much more pleasing than the above. There isn't as much of a crowd here at Mezzanotte than at Salted Caramel, which makes it a pretty nice place to just chill with a group of good friends. Salted Caramel is getting so mainstream, though I would like to try Udders. I wonder if they have waffles, I can nibble at some ice cream too hehh hehh.. The flavours above are not too bad, but I heard their fruit flavour gelatos aren't fantastic. Despite that, I really do adore the interior and ambience, so even though the gelato is only so-so, I guess it can be overlooked if you go with a group of friends to chill and chit-chat.